Gwinnett Arena: What is AXS Ticketing? As of March 1, 2013, Gwinnett Center is incorporating a new ticketing system called AXS Ticketing. AXS is a new ticketing platform with key features that will enhance the ticket purchasing experience. AXS Invite: this feature gives ticket buyers the opportunity to invite friends to an event without having to purchase everyone’s ticket themselves – they can simply hold seats directly adjacent to the seats they purchased. The ticket buyer can send a link with the held seats to a friend or family member via Facebook or e-mail. Invitee can decline or accept the tickets anytime within 48 hours. If they accept, they can log on to axs.com and purchase the tickets directly. AXS Waiting Room: this feature is available directly prior to the general on-sale (the time the waiting room opens will vary depending on event). 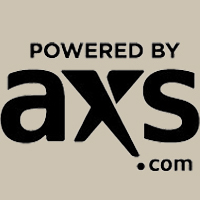 Ticket buyers can log on to axs.com and enter the waiting room where they can view event details, pricing, available seats and ticket information. They can also go ahead and enter their credit card and billing information to save time once the on-sale goes live. Why is Gwinnett Center moving to the AXS Ticketing Platform? This system has a lot of new features that our ticket buyers will find beneficial. It gives them the opportunity to share event invites socially through AXS Invite, and it provides customers with free ticket delivery options. We are eager for everyone to experience what AXS can do. When did AXS Ticketing launch across the country? How can I purchase tickets?Please note: this feature may not be available for all events. Buy tickets at GwinnettCenter.com, The Arena at Gwinnett Center Box Office or by calling 1-888-9-AXS-TIX. The consumer will go to GwinnettCenter.com, click on the event that they would like to attend, click the buy now button, and the purchasing process has begun. It is that simple. There are no fees to print at home with the AXS Ticketing system. This is a free option to receive purchased tickets.